Our policy is aimed at maintaining high competitiveness of products/services and establishment of permanent market presence. Our main goal is focused on continuous products and services quality improvement and continuous upgrade. 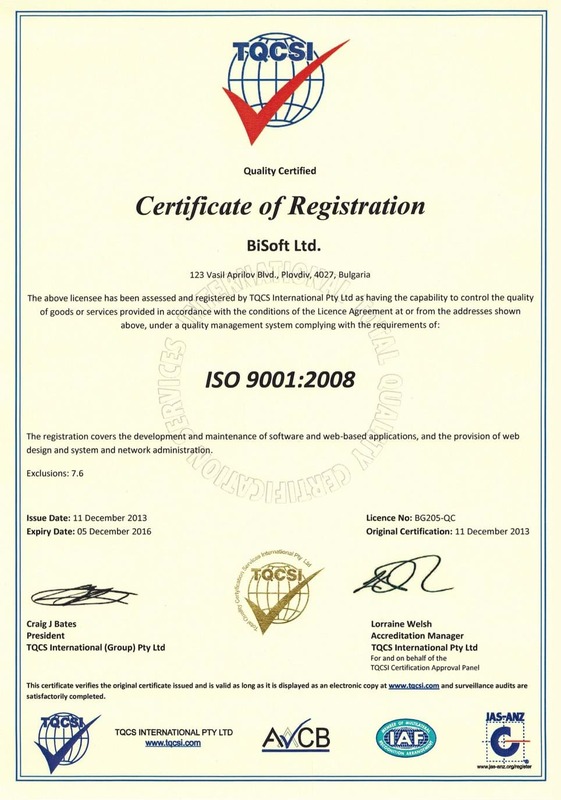 To achieve and ensure a high quality, the management of BISOFT Ltd. introduced a quality management system in compliance with the international standard ISO 9001:2008, as a means to promote the good name and reputation of the company. For us the certification of this system and the continued maintenance of its performance are the best guarantee for our services quality. Our staff is responsible for quality of service and strives to avoid inconsistencies with the quality requirements. Ensure compliance of our services with the growing demands of the market and increase the confidence of our customers. Engage all employees of the company to maintain a consistent quality of service. Strive for continuous improvement of services quality – a permanent objective of the management and all staff of the company. Strive for continuous customer satisfaction. 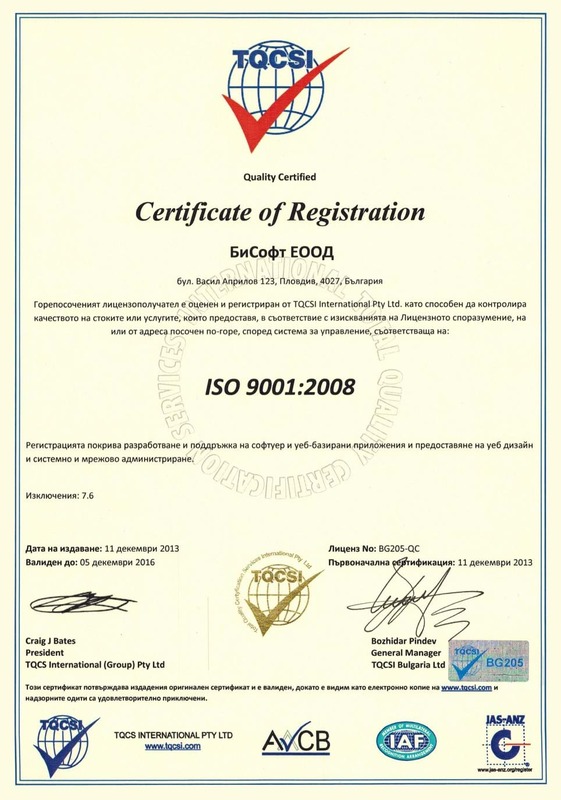 The company is a holder of an ISO 9001: 2008 certificate in recognition of the implemented quality management system covers all units responsible for the operations associated with software development and support, web-based applications, web design, system and network administration and consulting. Our customers receive the best products and services under the control of the quality management system and its continuous upgrade. © 2004 - 2019 BISOFT Ltd. All rights reserved.